Pop Up Camper nestled in the trees while camping. The Mississippi Gulf Coast has many places that are great for camping. There is the Buccaneer State Park and also several other RV parks along the way on Coastal 90. The Coast is a laid back place to visit the beach and relax. There are many places for camping and RV’ing that have little traffic and noise. 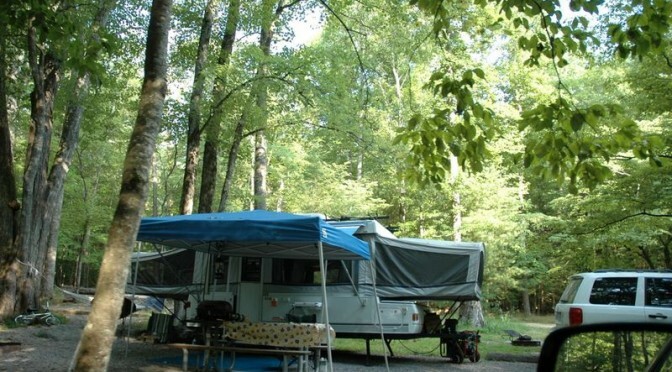 Enjoy fishing and come back to a quiet campground surrounding. There are also many options for a little more excitement with gaming, dining and entertainment options. Check out our camping guide for the Mississippi Gulf Coast for more information. Previous PostHancock County Mississippi Coast CasinosNext PostBay Books is local Bay St Louis small bookstore.